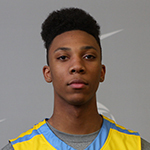 Height: 6-3 | Weight: 200 | Position: Guard | Roselle Catholic H.S. 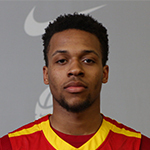 Briscoe is a true combo guard that is able to score with ease, but also excels with his play making ability. He is a physical guard that is often at his best when finishing through contact and baiting defenders into fouls. He capped a very successful summer of 2014 by winning gold at the FIBA Americas U18 Championship after having led the New Jersey Playaz to the Nike EYBL Peach Jam Championship. 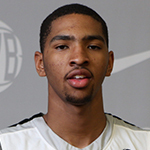 Briscoe has committed to play for Coach Calipari at the University of Kentucky. Height: 6-7 | Weight: 220 | Position: Forward | Wheeler H.S. Known as an elite athlete, Brown uses his strength and athleticism to wear defenders down and finish at the rim. He is an excellent defender whose length and quick feet allow him to guard multiple positions on the floor. Last summer, he competed for the USA U18 National Team helping the team to win the FIBA Americas U18 Championship gold medal. Brown is undecided on where he will attend college. Height: 6-2 | Weight: 193 | Position: Point Guard | Stevenson H.S. 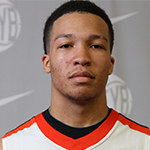 As a pure point guard, Brunson possesses a very high basketball IQ and phenomenal instincts for the game. He excels at penetrating the lane by utilizing his powerful build to get past defenders. 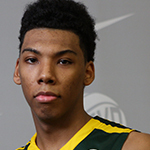 He played in the Nike EYBL for the storied Mac Irvin Fire program where he was a teammate of Jordan Brand Classic alums Jahlil Okafor and Cliff Alexander. Brunson has committed to play for Jay Wright at Villanova. Bryant is a true competitor; he scraps for rebounds and putbacks with an aggressive style that he brings to the court every game. His energy often leads to second effort blocks and rebounds on both ends of the floor. He has played on the Nike EYBL circuit with Team Scan, while also attending the LeBron James Skills Academy the past two summers. Bryant is undecided on where he will attend college. 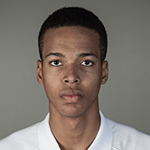 Height: 6-4 | Weight: 169 | Position: Guard | La Lumiere H.S. 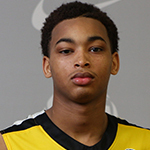 Arguably the best shooter in the 2015 class, Coleman is known for his range. However, he is not limited to just shooting beyond the arc, as he is an outstanding ball handler with strong moves to get to the hoop. The Indianapolis native has played on the Nike EYBL circuit with All-Ohio and participated in the Nike Skills Academies. Coleman has committed to play for John Groce at the University of Illinois. Height: 6-3 | Weight: 165 | Position: Guard | Arthur Hill H.S. Davis is an aggressive scorer with the ability to score anywhere on the court inside twenty-one feet. He was named All-State his sophomore year and Class A Player of the Year his junior year. He has played for The Family in the Nike EYBL circuit, while also earning invitations to the Chris Paul Elite Guard Camp, Nike Skills Academies and the LeBron James Skills Academy. Davis has committed to play for Rick Barnes at the University of Texas. 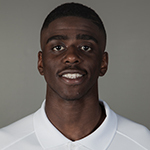 Originally from Mali, Africa, Diallo made his presence known upon arriving to the states less than four years ago with his defensive abilities and above the rim play. The 2014 New York State Gatorade Player of The Year has continued his dominant play through last summer playing with the Team Scan/PSA Cardinals on the Nike EYBL circuit. This high school season he has garnered scholarship offers from all of the elite college programs in the country. He is undecided on where he will attend college. Height: 6-11 | Weight: 231 | Position: Forward | Rice Lake H.S. 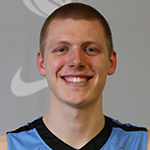 Ellenson possesses two unique skills for a player of his size; his ability to run the floor and play outside. These skills enable him to rebound well on both ends of the floor and prevent teams from double-teaming him. He comes from a basketball family, with both his mother and father having played college basketball. Henry will be joining his older brother Wally at Marquette University to play for Steve Wojciechowski. Height: 6-5 | Weight: 180 | Position: Guard | Franklin H.S. 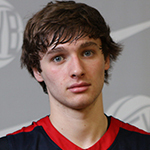 A left-handed shooter, Kennard is known for his long-range shooting ability and big-time scoring. Last summer he helped the 2014 USA U18 National Team win gold at the FIBA Americas U18 Championship while averaging 13.8 points per game. The Ohio native has played for the King James Shooting Stars on the Nike EYBL circuit where he led them to the 2013 U16 Championship game of the Peach Jam Finals. This past February, he passed LeBron James on the Ohio High School Athletic Association scoring list after scoring the 2,647th point of his career. 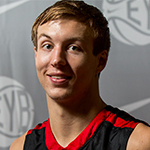 Kennard has committed to play for Coach Krzyzewski at Duke University. A native of Haiti, Labissiere’s basketball abilities blossomed upon moving to the United States in 2010 after the devastating earthquake had struck his native country. 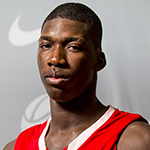 During the summer of 2013, while playing with Team Penny on the Nike EYBL circuit, Labissiere emerged as one of the top prospects in the country. He is a strong defensive presence with great shot blocking abilities that can consistently knock down the 15-foot shot as well. 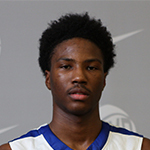 Labissiere has committed to play for Coach Calipari at the University of Kentucky. Height: 6-5 | Weight: 175 | Position: Guard | Saint Rita H.S. 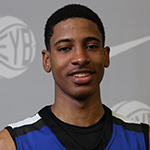 Matthews is a very versatile defender that is able to guard the one through three positions on the court. On the offensive end, he has the ability to score or create shots for others. Matthews’s play earned him invitations to the Nike Skills Academies and LeBron James Skills Academy the past two summers. Like Anthony Davis and Tyler Ulis, Matthews is an alum of the Nike EYBL Meanstreets program who will also play for Coach Calipari at Kentucky. 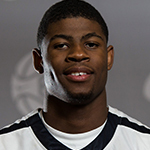 Height: 6-6 | Weight: 190 | Position: Guard | Trenton Catholic H.S. A strong slasher with extraordinary athletic ability, Richardson utilizes these two assets to get to the rim and often the free-throw line. He was mainly a shooter early in his career, but he can create his own shot and does not have much difficulty getting his shot off thanks to his 6-10 wingspan. 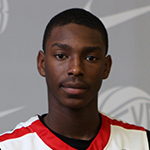 Richardson played for Team Final in the Nike EYBL, the same program that Michael Kidd-Gilchrist played for just a few years prior. Richardson has committed to play for Jim Boeheim at Syracuse. Height: 6-8 | Weight: 275 | Position: Center | Homestead H.S. 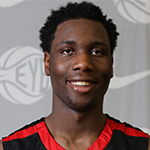 Swanigan is a traditional post player that does most of his work on the low block. He has excellent hands and feet for a player of his size, which allows him to operate very fluidly around the basket. Last summer, he won gold as a member of the 2014 USA U17 Word Championship Team at the FIBA U17 World Championship in Dubai. Originally a member of the class of 2016, he reclassified to the 2015 class at the beginning of last summer. He is undecided on where he will attend college. Bacon is a stellar athlete that does some of his best work in transition due to his great body control. He is able to change speeds very easily and finish through contact at the rim. Loaded with a tremendous offensive skillset, he has consistent three-point range and is very good at creating shots for his teammates. Bacon has committed to play for Leonard Hamilton at Florida State University. An aggressive scorer, Beasley uses his strength and explosive athleticism to gain the edge over opposing defenders. His size and the tenacity with which he plays also enable him to be an excellent defender. He has played for the Georgia Stars on the EYBL circuit and participated in the LeBron James Skills Academy and Nike Global Challenge. Beasley has committed to play for Leonard Hamilton at Florida State University. 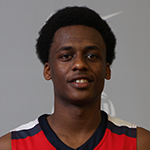 Height: 6-4 | Weight: 177 | Position: Guard | Oak Ridge H.S. Blakeney is a very proficient long-range shooter, who also has the ability to pull up from mid-range and attack the basket. His excellent body control allows him to maneuver through the lane. His offensive skillset was on display in his season opener where he went for sixty-five points. Blakeney has played with Each-1-Teach-1 on the Nike EYBL circuit, along with fellow Jordan Brand Classic teammate Ben Simmons. Blakeney has committed to play for Johnny Jones at Louisiana State University. Height: 6-9 | Weight: 210 | Position: Forward | Muskegon H.S. 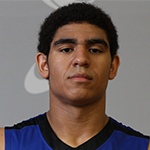 Davis is an extremely athletic and mobile big man that runs the floor well and is active on both ends of the floor. He has the ability to score both inside and outside, having developed a very consistent mid-range game. His length and athletic ability have made him a defensive presence, as he set a Michigan state record of 199 blocked shots in a single season last year. His high school coach, Keith Guy, was a coach in the Jordan Brand Classic in 2014. Davis has committed to play for Tom Izzo at Michigan State University. Height: 6-9 | Weight: 269 | Position: Center | Plano West H.S. Davis is a true ‘big man’ coming in at 6-feet 9-inches tall and weighing 269-pounds. His size and mobility have enabled him to become an elite rebounder, easily establishing and maintaining position. He is a force to be reckoned with in the paint. 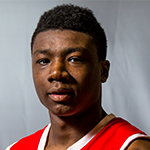 Davis played alongside Jordan Brand Classic alum Julius Randle during the 2013 EYBL circuit with the Texas Titans. Davis has committed to play for Billy Kennedy at Texas A&M. Height: 6-4 | Weight: 180 | Position: Guard | Maranatha H.S. Dorsey is a terrific scorer that can beat defenders to get to the rim or pull up from outside. He has excellent size and is able to play both of the guard positions with his outstanding ball handling and scoring abilities. He averaged over 30 points per game this season and notched over 40 points in several contests. Dorsey has committed to play for Dana Altman at the University of Oregon. 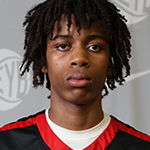 Height: 6-5 | Weight: 190 | Position: Guard | Rockwall H.S. Known as a prolific shooter, Grandstaff has some of best range in his class. He is not limited to beyond the arc as he is very good at putting the ball on the floor and creating his own shots as well. He possesses a very high basketball IQ and constantly moves to get open and keep the offense in motion. 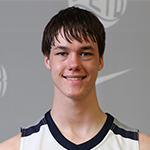 His father, Wes Grandstaff, is the founder of the Nike EYBL program Team Texas Elite. Grandstaff has committed to play for Thad Matta at the Ohio State University. Height: 6-8 | Weight: 209 | Position: Forward | Hamilton H.S. Lawson quickly cemented himself as one of the elite prospects in the country early in his freshman year at a USA Basketball winter workout. He followed this up by playing with the 17U Team Penny on the Nike EYBL circuit that spring as a rising sophomore. He is a very productive player that handles the ball well and plays very well facing the basket with range out to the three-point line. Originally a member of 2016 class, he reclassified to the class of 2015. He will join his brother K.J. Lawson at the University of Memphis. Height: 6-4 | Weight: 180 | Position: Guard | Callaway H.S. Newman is one of the most elite scorers in the country. With his almost unlimited range, he creates his own shot, and attacks the rim with tenacity. Newman made his scoring prowess known when he lead the entire EYBL circuit in scoring for the season as a rising junior playing on the Jackson Tigers 17U team. 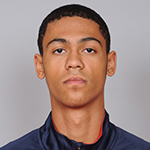 He was named the 2013 FIBA Americas U16 Championship MVP after leading the USA Basketball U16 team to gold. Newman is undecided on where he will attend college. Height: 6-10 | Weight: 209 | Position: Forward | Bishop O’Dowd H.S. 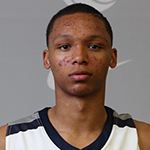 Rabb has an advanced offensive skillset for a big man. He utilizes both hands effectively around the rim and has a multitude of moves in his scoring arsenal. He won gold with the USA Basketball World Championship team each of the last two summers capturing the FIBA Americas U16 Championship in 2013 and the FIBA U17 World Championship in 2014. 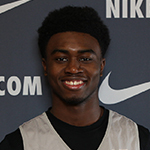 He played alongside Jordan Brand Classic alum Stanley Johnson on the Nike EYBL Oakland Soldiers team in 2013. Rabb is undecided on where he will attend college. Trier is an elite scorer with almost flawless shooting mechanics and range that extends well beyond the three-point arc. He is also an exceptional driver with a great first step and body control that enables him to get by any defender and draw fouls. He had one of the most notable moments of this past summer when he scored 42-points at the Nike EYBL Peach Jam Finals. Trier has committed to play for Sean Miller at the University of Arizona. Height: 7-0 | Weight: 224 | Position: Center | Bishop Gorman H.S. At 7-feet, Zimmerman’s length has enabled him to become a great shot blocker and post defender. He also uses this length to score over other big men with a go-to left-handed hook shot. Last summer, he won gold with the USA Basketball U18 National Team at the FIBA Americas U18 Championships and played alongside Jordan Brand Classic teammate Ivan Rabb with the Oakland Soldiers on the Nike EYBL circuit. Zimmerman is undecided on where he will attend college.